Stage Light 4 Control Mode: DMX512, master slave, sound control and automatic. Led Light Scanning Angle 540 °, speed can be controlled, 270 °, speed can be controlled. 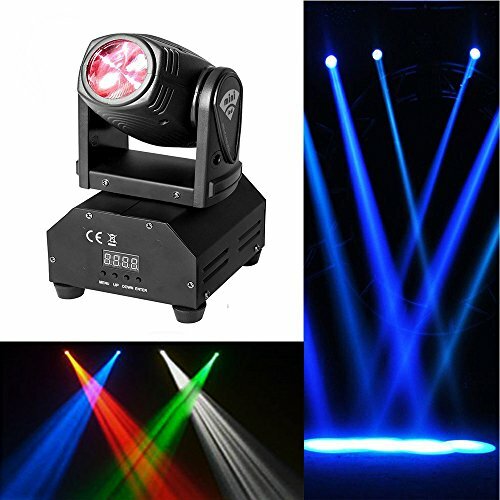 The moving head lighting suits for wide range of application,no matter home party, school show, night club, KTV, Karaoke, DJ, Concert, Show, Club, Disco or other evening performances,this spotlight is definitely a great choice. This light beam can build an impressive matrix by its multiple fixtures, color changing.